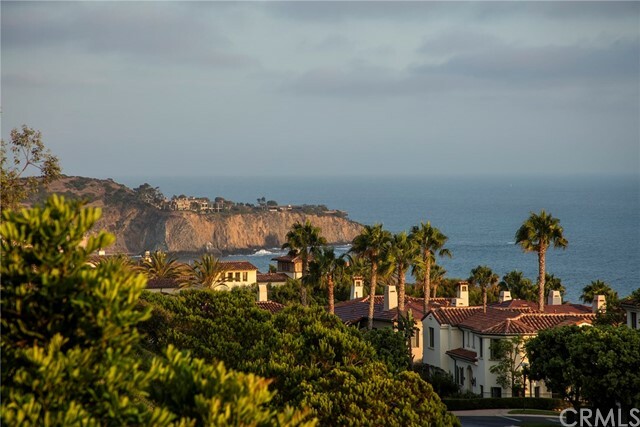 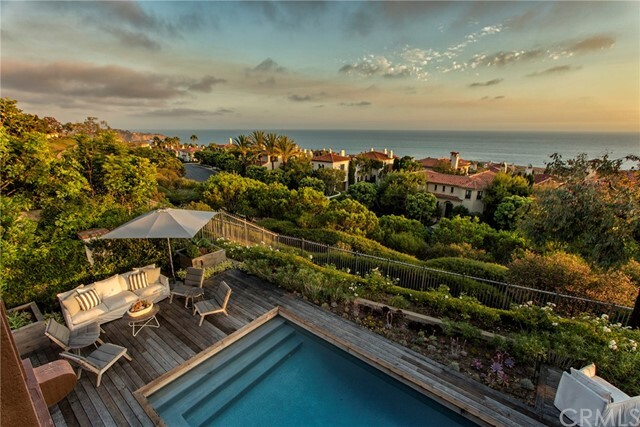 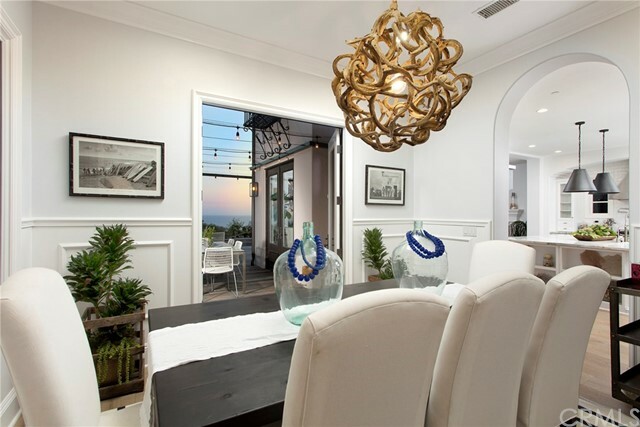 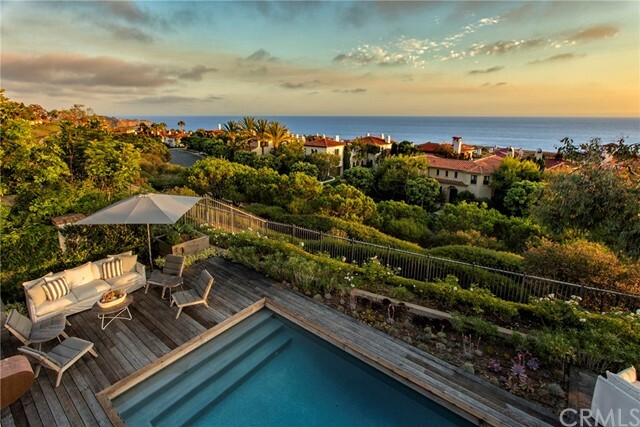 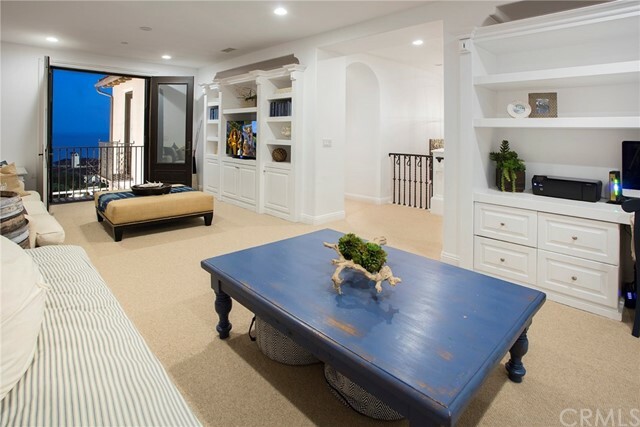 FINALLY ABLE TO SHOW this Stunning 180-degree panoramic ocean, Catalina Island, and sunset view home located in the prestigious guard-gated community of Crystal Cove. 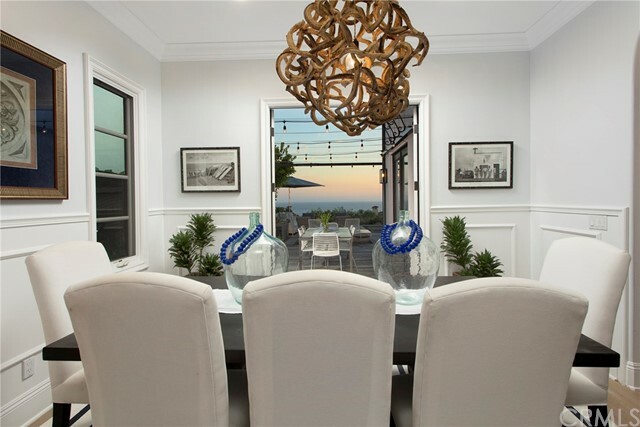 This home sits in a desirable cul-de-sac location that is mere minutes to magnificent beaches, Crystal Cove State Park, wonderful shopping, and top restaurants at the Crystal Cove Promenade. 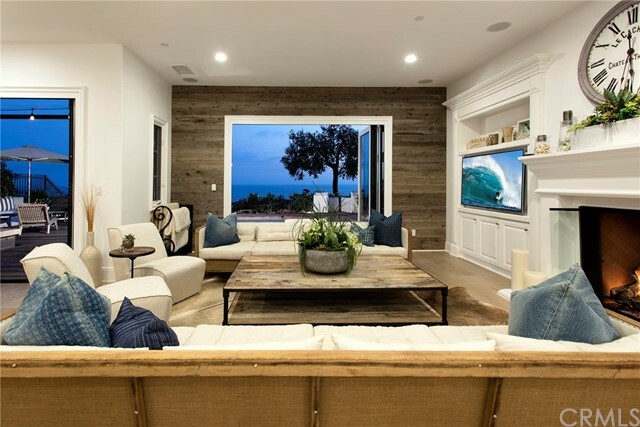 Sophisticated and modern-rustic in style, this Nautilus Plan 2 home boasts four spacious bedrooms and four-and-one-half bathrooms, plus a detached casita. 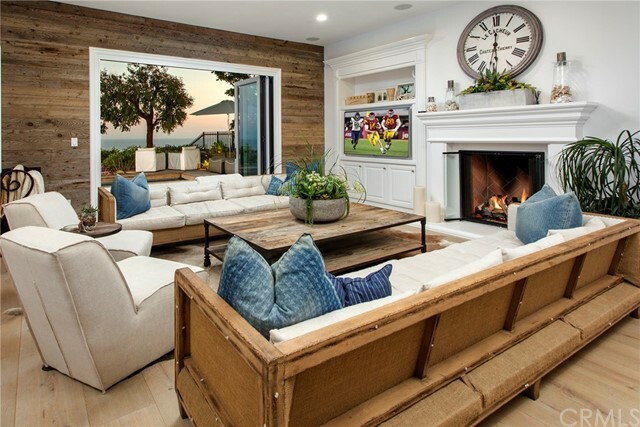 The family room opens up to the gourmet kitchen with a fireplace overlooking the pool and Pacific Ocean. 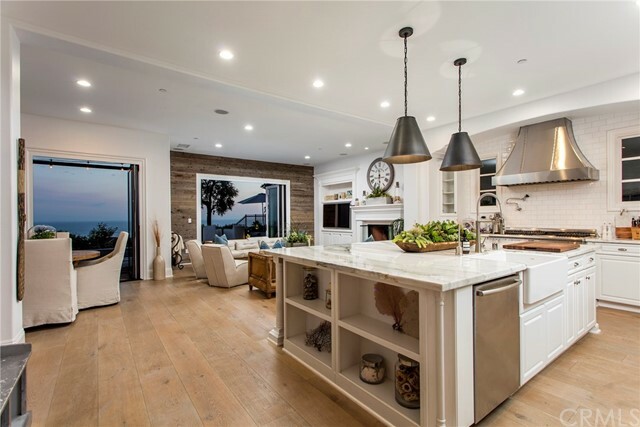 The chef’s kitchen has state-of-the-art stainless appliances and stunning marble countertops. 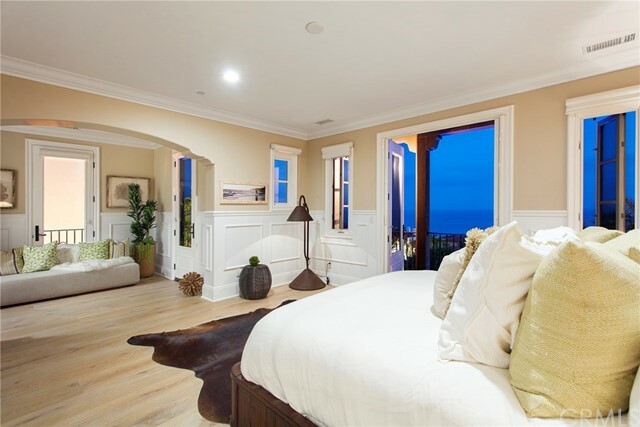 The romantic master suite includes a retreat, large viewing balcony, and luxury bathroom with dual sinks and two oversized walk-in closets. 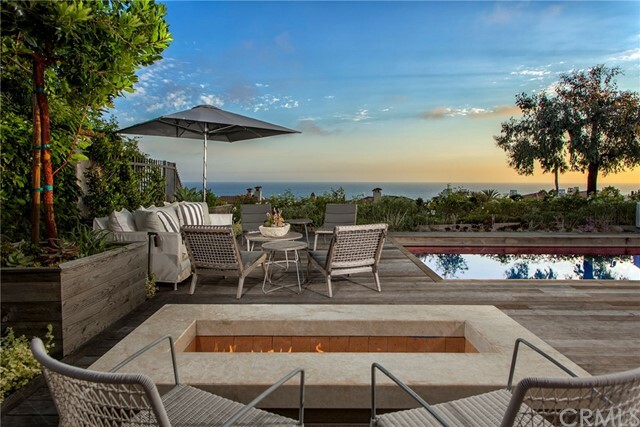 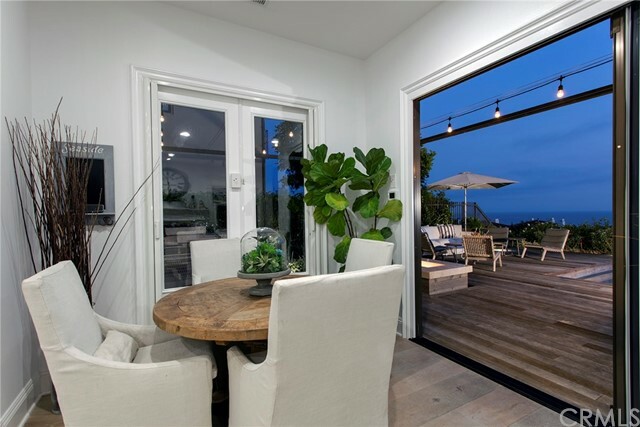 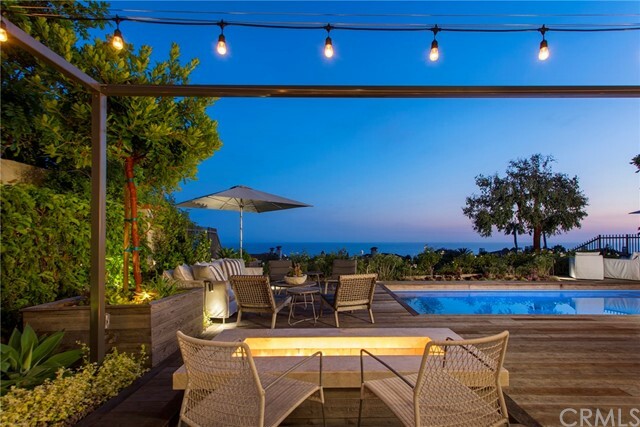 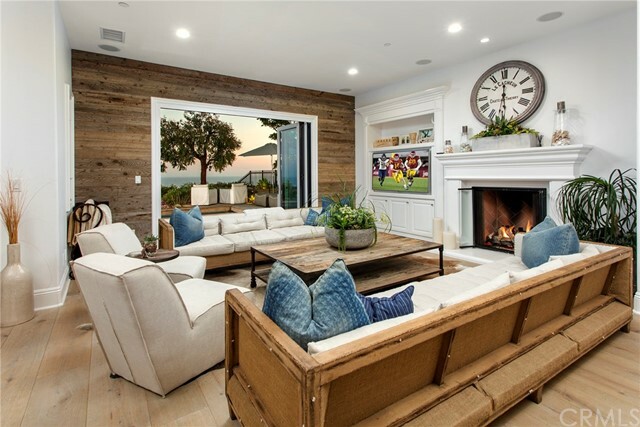 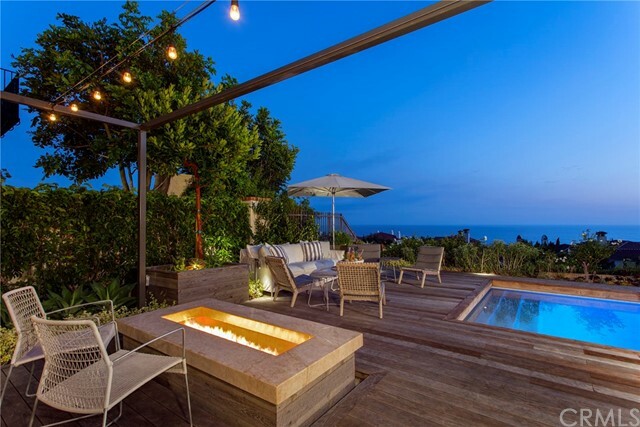 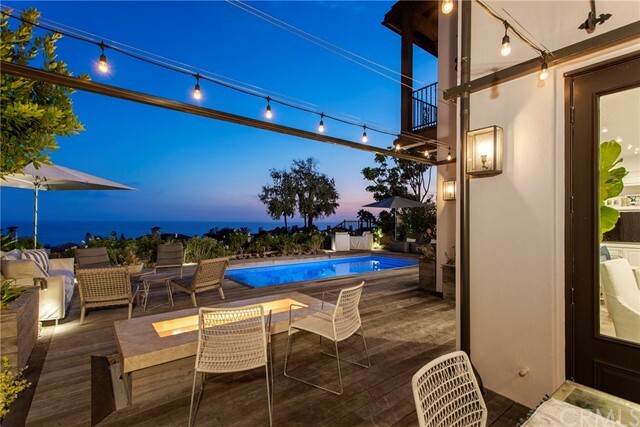 The indoor-outdoor yard features a fun and fashionable pool, BBQ, and dining area with a fire pit and various sitting areas from which to enjoy the tranquil views of the Pacific Ocean and majestic sunsets in the evening. 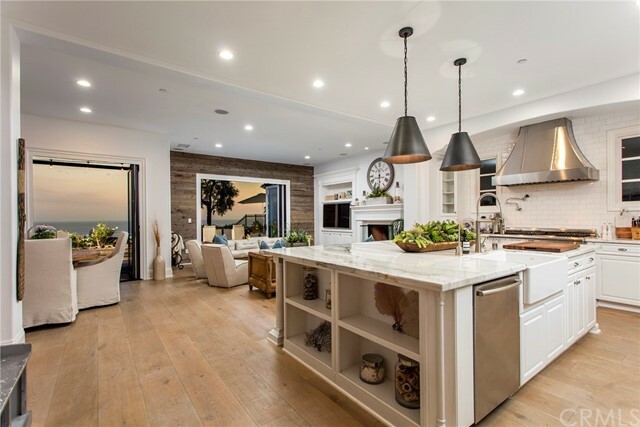 This home is highly upgraded with outstanding quality hardwood floors, crown molding, surround sound speakers, recessed lighting, dual-zone air conditioning, and so much more.